Our team is available weekdays from 8:30am to 5:30pm Eastern Time to assist you with any questions or issues you may have. ATTENTION Inovity customers: Download our W9 here. Service after the sale is more important than the sale itself. Our team is available weekdays from 8:30am to 5:30pm Eastern Time to assist you with any questions or issues you may have. This dedicated group is committed to providing the pinnacle in service to you, our valuable clients and business partners. How can Client Services help you? While our Client Services team is the best at what they do, they don’t do it all. If you don’t know who your Systems Consultant is, call us at 800-452-7418 or Email Us and we’ll be happy to direct you to the proper person handling your account. Do you place orders with Inovity? Sign up for Automatic Order Confirmations to ensure that we received your order and entered it into our system. Every time you place an order, you will receive an automated email confirming our receipt of your order. Automatic Order Confirmations include complete details of items ordered, quantity, pricing, shipping method, etc. Save time and confirm your order accuracy before it’s shipped! Sign up today. 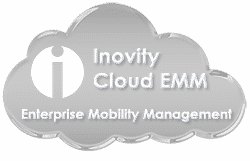 ATTENTION Inovity customers: Download our updated W9 here.